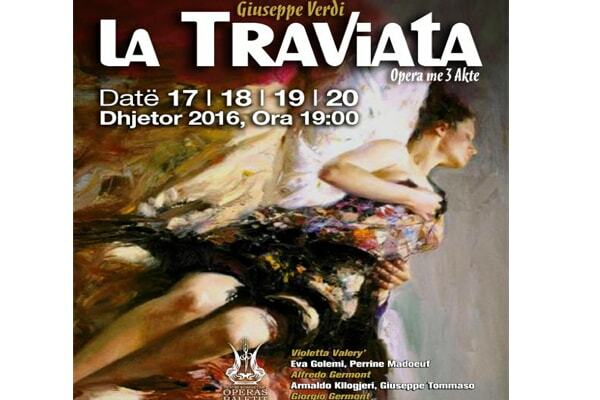 "La Traviata" one of the most beautiful opera romances will come on the stage of the National Theater of Opera and Ballet from 17, 18, 19 and 20 December, 19:00 La traviata is an opera in three acts by Giuseppe Verdi set to an Italian libretto by Francesco Maria Piave. It is based on La Dame aux Camélias, a play adapted from the novel by Alexandre Dumas, fils. The opera was originally titled Violetta, after the main character. It was first performed on 6 March 1853 at the La Fenice opera house in Venice.